There is one login for both students and admins. 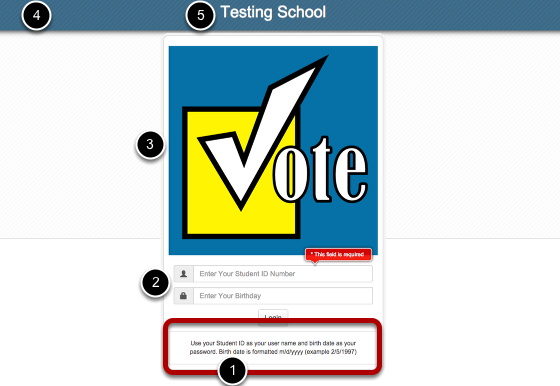 The landing page for your voting site school.voting4schoolscom, is where both admins and students will login. Note, for admins should ignore the login text and notes and use the password provide by Software 4 Schools or ones you have created. This page can be customized. with your own school logo, colors, login notes and user name and password displays. Previous Page: Using a Credit Card to Purchase Voting 4 Schools Table of Contents Next Page: How do I get started?